Engage enables community members to stay up to date about clinical research happening at a given institution. Engage is designed as a mobile-friendly web application. 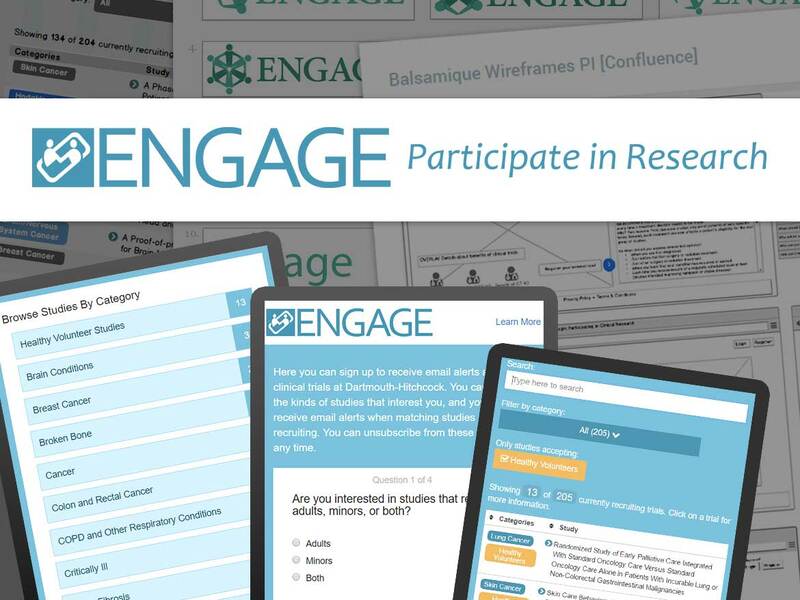 With only an email address, community members can record their preferences for participating in research in Engage and receive automated email alerts as new studies matching their preferences become available. Our intent is to build Engage in a way that allows other institutions to use our open source software to set up their own clinical trial awareness tool.